Yes, Turmeric Curcumin Is Terrific For Easing Joint Pain! Need To Get Moving Again? Turmeric Can Help You. The yellow Indian spice is no less than a superstar when it comes to treating pain and inflammation in arthritic patients. People in the Indian subcontinent have been using this so- called fix-all herb for eons. However, it&#39;s been only a few decades that turmeric gained a widespread attention in the Western medical fraternity. It has been revered for its potential antioxidant, analgesic, anti-inflammatory, antiseptic activity, anticarcinogenic activity antioxidant, analgesic, anti-inflammatory, antibacterial, antiviral, and antifungal properties. Given that arthritis, which is a group of inflammatory joint conditions, affects 54.4 million US adults, it makes a perfect to learn the benefits of this wonderful herb. This article sheds light on the potential benefits of turmeric for joint health based on the latest scientific findings. In addition, it also provides a unique way to maximize the benefits. Turmeric Curcumin For Joint Pain & Inflammation - What Makes It So Special? The one-line answer to this common question is “Curcumin”. It is one of many powerful substances in turmeric called curcuminoids. In fact, the same substance gives turmeric its bright yellow color. It is a powerful antioxidant and anti- inflammatory. Patients with arthritis often use a class of medications called NSAIDs (Nonsteroidal anti- inflammatory drugs) to ease pain and reduce inflammation. Some common examples include Ibuprofen (Advil, Motrin), Aspirin (Bufferin, Bayer), Celecoxib (Celebrex), Diclofenac (Cataflam, Voltaren), Fenoprofen (Nalfon) etc. A 1980 study found that young patients who took curcumin for 2 weeks achieved significant improvements in arthritis symptoms. Interestingly, the effect was comparable to that of phenylbutazone, which an NSAID similar to Ibuprofen. For arthritic patients, chronic pain can be debilitating as it severely restricts their movement. In a 2010 study, researchers noted that curcumin when taken with phosphatidylcholine greatly enhanced the walking ability of patients with osteoarthritis. Moreover, the curcumin-treated patients had lower levels of an inflammatory substance called C-reactive protein (CRP) in their blood. If you take Diclofenac for arthritis pain, it is perhaps just the right time to switch to a curcumin supplement. In a 2012 study, researchers concluded that curcumin-induced improvement in joint tenderness and swelling was superior to its combination with diclofenac or diclofenac alone. Prolonged inflammation, cartilage degradation, and cellular destruction are the hallmarks of arthritis. 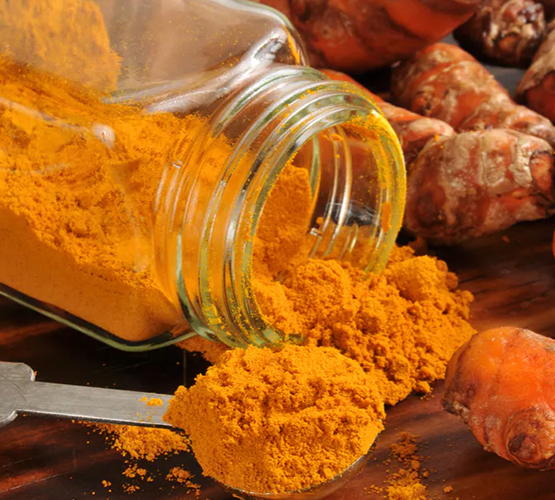 Because curcumin exhibits powerful activities against all these destructive processes, it can be a promising new choice of natural treatment for arthritis, conclude researchers from a 2013 study. It might just be the icing on the cake. In one large meta-analysis, patients who took 1000 mg curcumin a day for 8–12 weeks achieved a significant improvement in typical arthritis symptoms such as pain and inflammation. In fact, the markers of improvement were similar to those by ibuprofen and diclofenac sodium. Can Your Diet Provide Enough Curcumin? Because the intestinal absorption of diet-derived curcumin is miserably low, you cannot expect to reap most of its benefits with the diet alone. Your body can absorb only about 3 percent of curcumin that you take. This is exactly when a supplement can be extremely useful. 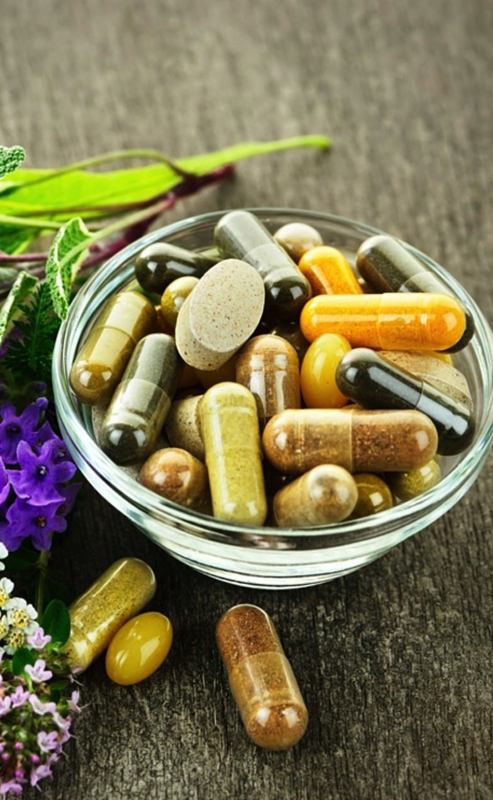 Consider taking a supplement that also contains other joint health promoters such as glucosamine, chondroitin, and MSM (Methylsulfonylmethane). A growing body of evidence supports the use of oral glucosamine and chondroitin as an effective natural supplement for joint problems. They work to reduce the severity of the symptoms. Meanwhile, they also help reduce the use of oral pain medications. Keep in mind that long-term use of these medications can increase the risk of heart conditions like strokes, gastric ulcer, and stomach bleeding. MSM is a potent anti-inflammatory substance that reduces inflammation, joint/muscle pain, and oxidative stress. Together, curcumin, glucosamine, chondroitin, and MSM form one of the best natural treatments for joint problems like arthritis.